Leipzig and Hoffenheim - two of this season's surprise packages - go head to head on Matchday 18. 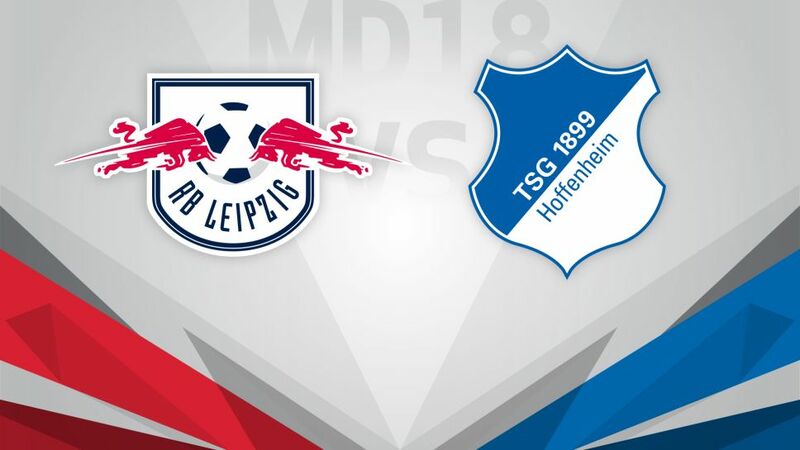 RB Leipzig face the side they played in their first ever Bundesliga game, TSG 1899 Hoffenheim, with both sides defying the odds as they meet on Saturday at the start of the Rückrunde (kick-off 15:30CET/14:30GMT). Ralph Hasenhüttl's side shook off their 3-0 defeat to FC Bayern München just before the winter break with a victory by the same scoreline over Eintracht Frankfurt on Matchday 17. The result keeps them on the record champions' coat-tails, strengthens their position in the top four and opens an eight-point gap over their opponents this weekend in third place. The promoted side will now be looking to start the second half of their maiden Bundesliga campaign in the same vein as they played the first. Hoffenheim have become only the sixth team in Bundesliga history to reach the halfway mark without tasting defeat. The Sinsheim club are also making waves across Europe under young coach Julian Nagelsmann as the only undefeated side in Europe's top five divisions. TSG ended the first half of the season on a high with a win at FC Augsburg, but they now face a Leipzig side who are also unbeaten at home this campaign, dropping points on just one occasion.